The Usui Reiki II class is a one-day class during which students will learn to use the Reiki II symbols during their sessions and learn to perform distance healing. Much time will be spent learning different techniques for performing distance healing with Reiki. Please click here for upcoming class dates. As in the Usui Reiki I class, there will be plenty of time for practice, and for sharing our experiences with one another. 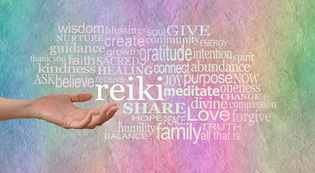 This class is a great opportunity to deepen and strengthen your reiki practice with the symbols. Are you one of my students? Retake this level and pay 25% of the fee. Took level 2 with another Reiki Master? Re-do and get 10% off. Requirement: Students should have taken the Usui Level 1 class at least 2-3 months prior, performed self-treatment on a regular basis, and practiced on others at least once a week. Students should also have attended a monthly reiki share.